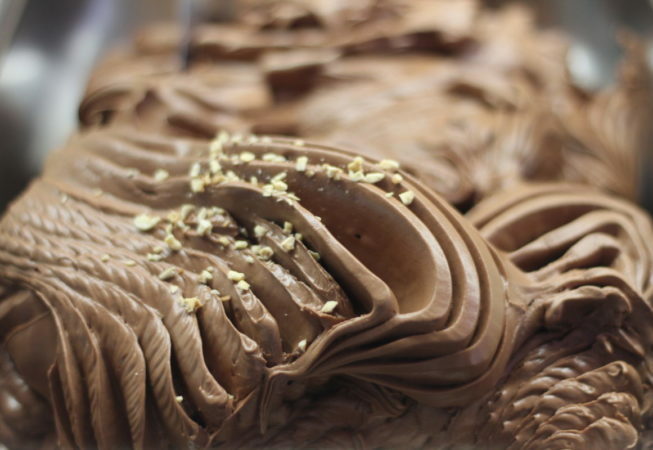 Gianduia gelato is a traditional Piedmont favourite made from chocolate and hazelnut. It has similarities to a commercially known spread, which was invented in Piedmont because of the classic gianduia flavour combination there. We make it with Protected Geographical Indication Piedmont hazelnuts. 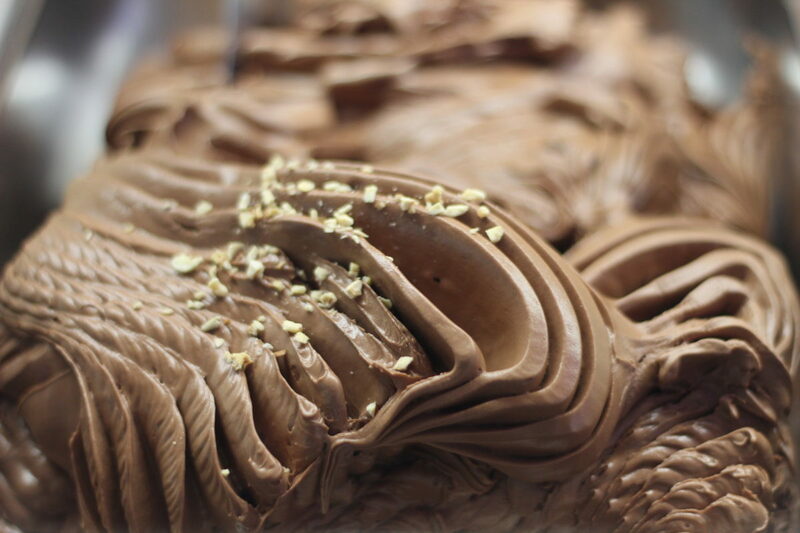 This gelato evokes feelings of happiness and joy because of its rich flavour and texture.